Spend that tax refund on your Outdoor Space with a surprise OUTDOOR FABRIC SALE! 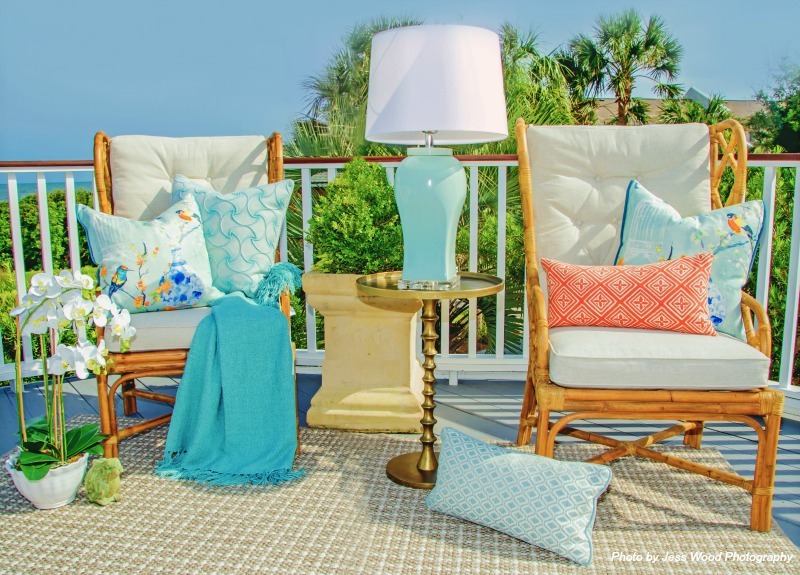 Save 30% on all in-stock outdoor fabrics, and get a jumpstart on outdoor cushions, pillows and draperies with 15% off our fabrication services at time of fabric purchase. We just got back from a fabric buying frenzy with a great supply of Sunbrella outdoor fabrics, adding to our already large selection of in-stock outdoor fabrics. Let’s transform your outdoor living space! Work with our team to get the perfect look for your patio, porch, pool or take these highly durable, stain-resistant and water-repellant looks indoors. They work super well in our Lowcountry homes near water or homes with kids/pets. We hope to see you during this Spring Outdoor event… it’s the PERFECT time for your outdoor makeover. 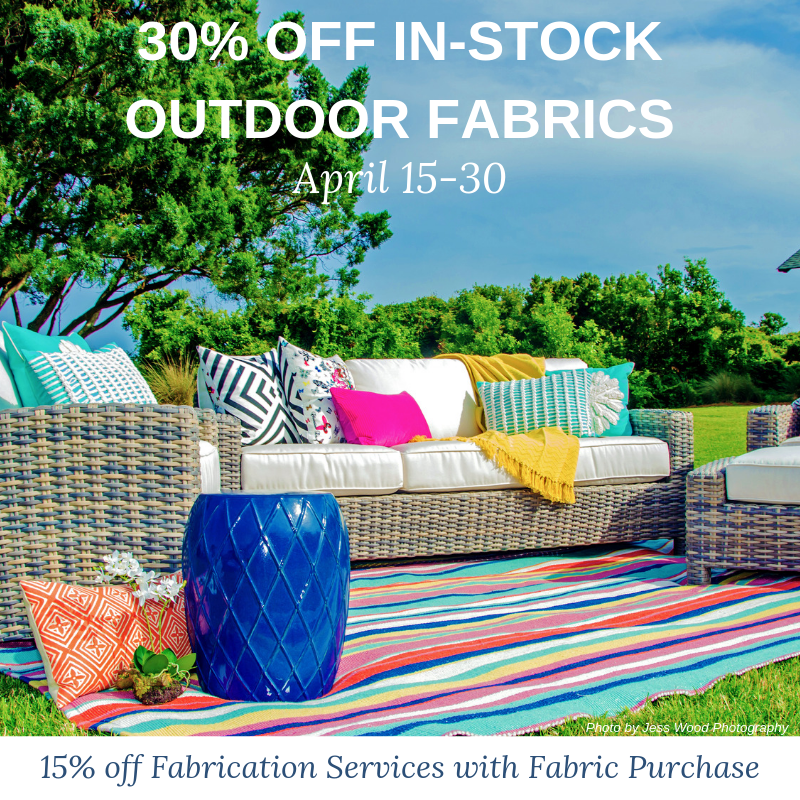 This Outdoor Fabric + Fabrication Sale runs April 15-30.